As a UX Designer, I focus on three core objectives when I design - to ensure I'm making a clean, efficient, and effective experience. Products that balance the needs of the user and the business while maintaining these principles are proven to boost both customer satisfaction and business success. Clean design eliminates unnecessary clutter and sets the user up for success in the experience. Efficient design emphasizes the most important features and can get the user to the end state in the fewest number of steps. Design is only effective when the numbers prove it. This is why I value data-driven design above all else, so I can prove it's working. in the series of works below. Due to NDA agreements, specifics are currently blocked. If you'd like additional information, email me at StevenHartwig1@gmail.com. View the work I did for the brand new HBO.com here. 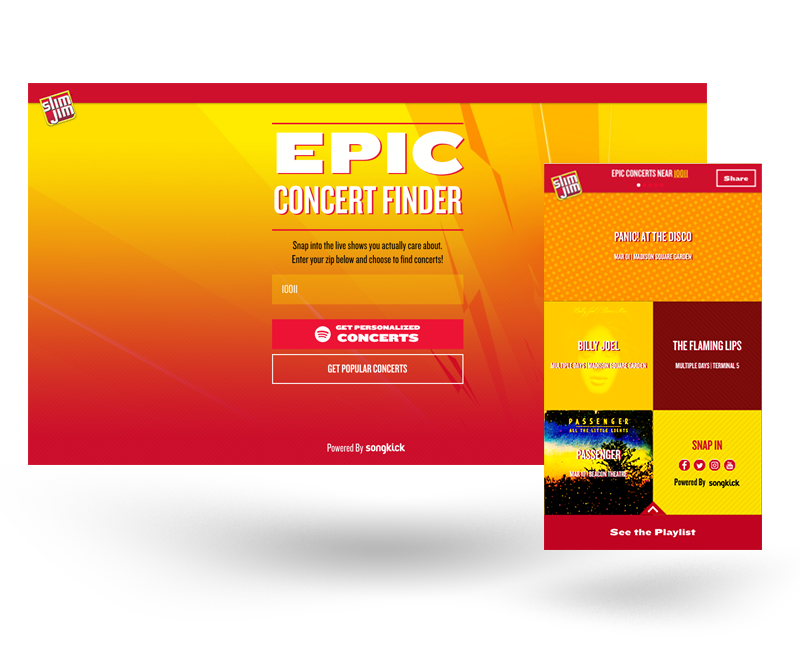 Working within the intersection of music, advertisement, and UX design, my multiple years of experience with F Sharp involved the creation of dozens of custom microsite campaigns for Fortune 500 companies through music platforms like Spotify. View three case studies below to see the design process of my most notable work. In this fully responsive experience, users are invited to take a personality quiz to find out exactly which Trolls character they are along with a matching playlist. 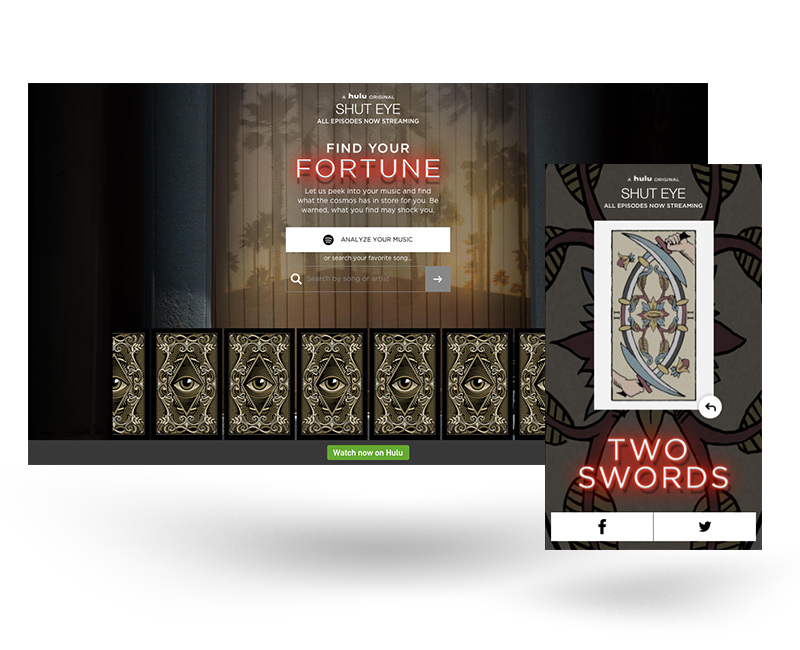 With an immersive fortune telling theme, a users Spotify profile information is scanned and analyzed to give a realistic fortune from a series of four Tarot Cards. This tile based microsite utilizes the SongKick API and the Spotify API to recommend you epic concerts based on the music taste of your Spotify account. During my time at F Sharp, I also worked on building an advertising platform from the ground up with aims to revolutionize the Digital Music Ad Industry. View it's full capabilities here. While I can't currently supply work examples, learn about it at TheFrequency.co or email me at StevenHartwig1@gmail.com to learn more. Below is some of my past work that fully showcases my design process throughout a products lifecycle. Imagine a thrift store in your pocket. 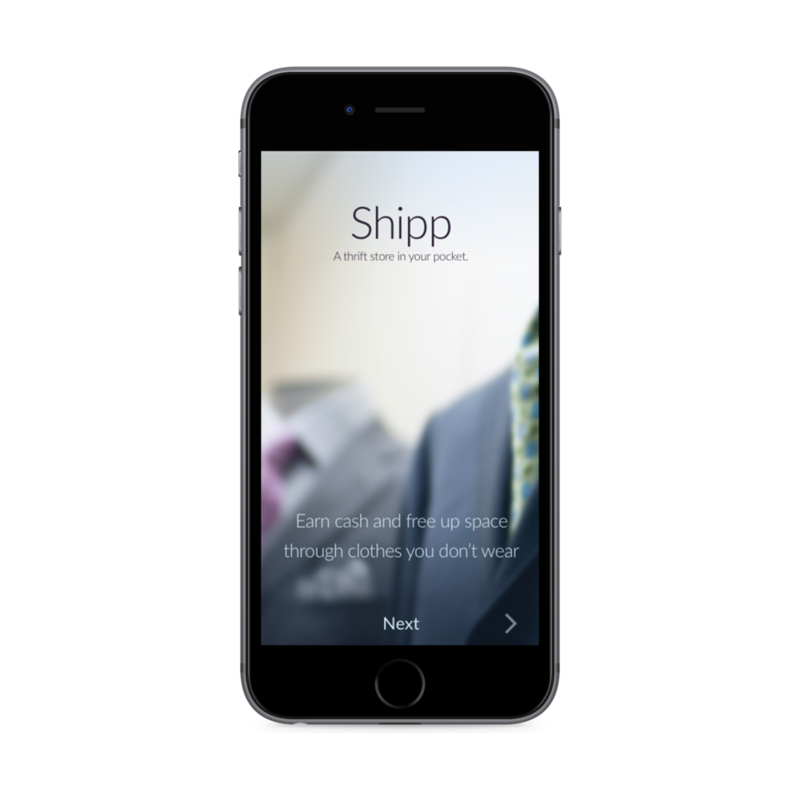 My goal was to turn this idea into a reality with the design of this application, delivering an easy and convenient way to buy and sell used clothes online. During my internship at DoSomething.org, I teamed up with a full team on the end-to-end design of an app made to promote positive social activism. Find Events Right Now. This event aggregation app was my first foray into full scope user experience design, covering the whole process from initial research to user tested prototypes. The simplicity of Tinder combined with the knowledge of an entire library. A freelance project soon to be in development.